The final two matches for the year were played on Wednesday and Thursday last week – Malaita Kingz 1 – Koloale 2 and X-Beam 5 – Hana 1, respectively. Both were catch-up matches scheduled for round three but were postponed due to bad weather. The break also marks the completion of the first round of the league which means Solomon Islands next representative club at the Oceania Football Confederation (OFC) Champions League is halfway away from being named. The S-League Board is pleased with the progress of the competition and thanks the clubs and stakeholders for their commitment to the Telekom S-League. “The S-League Board thanks the clubs, sponsors and the major sponsor Our Telekom, fans and spectators for their support for the Telekom S-League in the first round. We look forward to your cooperation in the second round and beyond,” a statement from the S-League Board said. With the exclusion of Marist from the competition, the second round of the competition will only take seven weeks. The S-League management is looking to wrap up the season by February which leaves a month for the champion club to prepare for the OFC Champions League scheduled for April. The S-League Championship is omitted from the competition line-up this season, thus, the winner of the league automatically qualifies as Solomon Islands club representative. At the moment Solomon Warriors is leading the race but they are strongly chased by Koloale and X-Beam. While there will be no football matches the administrative side of the competition will still be in full flow for both the clubs and the S-League management. The period also marks the transfer window for the competition and clubs are working hard to secure new players add strength to their campaigns in the second round. The resumption will offer good news for spectators with the slashing of the grandstand entry fees from $40 per head to $20. This follows a Board decision to make grandstand seating more comfortable for fans. 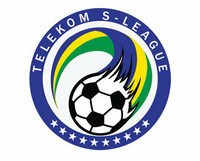 The second round of the Telekom S-League will kick off on January 11.